Liverpool may have the requisite squad depth needed to win the league this season, but there is no way the Reds are satisfied just yet. The Mirror claims that Liverpool have turned their attention to Christian Pulisic as their main piece of transfer business in January, and that they would be willing to do whatever it takes in order to sign the American sensation. The report suggests that Jurgen Klopp has seen the talents of Pulisic, and is a fan of the midfielder, and considers him capable of lighting up the Premier League. It won’t be that simple, however, as fellow Premier League heavyweights Chelsea are ready to fight tooth and nail to secure the services of the Borussia Dortmund star. WATCH: What If Ramos Played For Liverpool? Aside from the obvious competition from top sides across Europe, Liverpool will also have to match a hefty sum if they want to get their man, with £70 million set as the price for the talented player. If the Merseyside giants are to make the signing work, they will have to finance it first, and selling one of their own players may be the ideal way to go. The report suggests that Fabinho may be the man to make way so that Pulisic can be introduced to the Anfield crowd. The Brazilian signed only this past summer, but hasn’t quite worked the magic he was expected to. 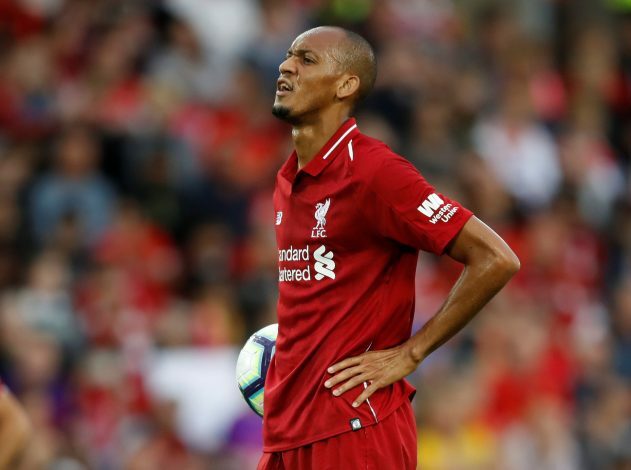 This isn’t to say that the Premier League game isn’t for Fabinho, but when you have to contest the likes of Jordan Henderson, Naby Keita, and James Milner in midfield, chances are going to be few and far between. With AC Milan and Juventus showing interest in Fabinho, there could be scope for a deal to take place in January, such that Liverpool will have enough monetary resources to fund the move for Christian Pulisic.